Pet Food Aid is now delivering Pet Food to Senior Centers. We were called by Bristol Elder Services and asked if we would help the seniors in the area with their pet food needs. Many of the local Council on Aging locations are providing a place where seniors can get some assistance for a wide variety of services including pet food. 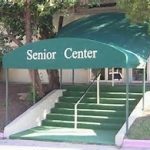 If your Council on Aging / Senior Center would like to be added to the list of centers that we are already delivering to contact us to let us know.